Freebies is suits for low budget project. With good freebies stuff all of your work still can win and stand-outs. Have you’ve been wonder that search a good freebies isn’t easy? Yeah. That’s the truth. But in this chance, you’re lucky, we will share 35 Free Mobile UI PSD Designs specially for you. Designed to help you increase your productivity, Balkan UI Kit is a must have for your next mobile app design project! This freebie is the perfect starting point for creating a clean photography app for iOS. Modern and elegant eCommerce UI Kit for Sketch with 25 basic screens. Crafted by George Frigo. Hobi ver 2.0 is an elegant e-commerce PSD UI set that has a unique, modern look and feel. It contains 14 screens, well-organized PSD files that can be easily implemented to suit for any kind of mobile e-commerce business website including online fashion, clothing, and much more. Ghost Ship UI Kit Free comes with 20 screens across 7 categories made in Photoshop PSD format. It’s also vector based, so don’t get scared off by the exact dimensions. Login page UI free psd for personal and commercial use. EventRay UI KIT – Free Download. This reedy-to-use user interface kit by Dtail Studio includes multiple layouts and GUI elements designed for use on different resolutions Web and Mobile devices. Burble is not just a template, it is the first interactive ready chat UI Kit. With Burble you can have a full chat app in no time. 50+ handcrafted colorful Sketch screens that you can easily link together to have a well designed, functional and fresh demo to show your client, boss, or investor! Shopcart is one innovative and stylish e-commerce PSD UI that comes along with sleek, neat, and new-age design for an elated shopping experience. These 22 screens of neatly-crafted PSD files can be deployed in an e-commerce app to yield successful e-commerce shopping conversions. With its dynamic design, Shopcart can be used for e-commerce business website as well that caters to sell products for the businesses like online fashion, clothing, and accessories, and plenty others. An awesome iOS UI Kit containing over 50+ screens designed for the iPhone 6! Vector shapes allow for resizing objects to fit other screen sizes while still retaining retina resolution. Mobile App ui/ux design Free PSD. You can use this PSD directly. This is the free psd app design which can be used to design any app, here i design notification app with the beautiful gradient and triangles. Download free psd from the link. This conceptual project was design for foods apps, fruits market, restaurent and shopify. this apps is modern look, creative and fresh. 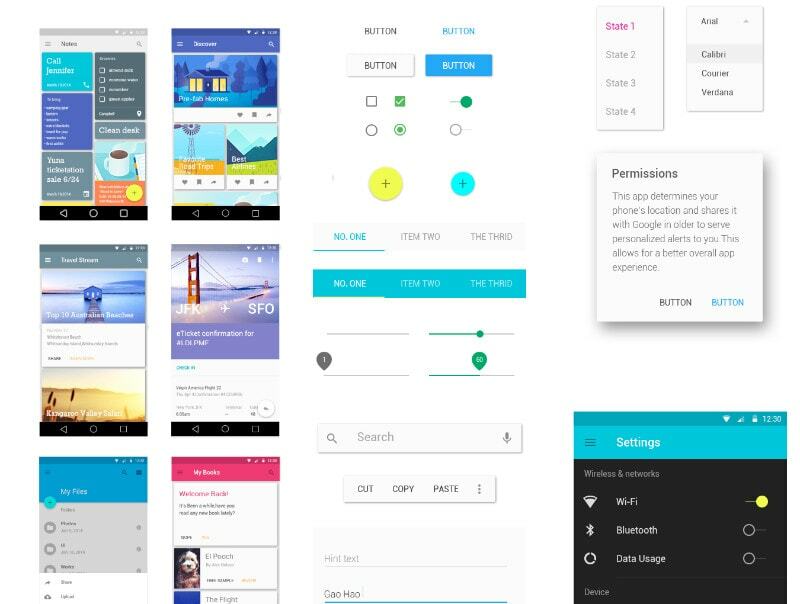 Flat Mobile App UI Design is a gorgeous set developed to inspire Your next application design and it’s totally based on Flat Design Standards. This UI kit contains 3 highly customizable PSD Files and comes many useful elements. You can easy to change color style and images with Smart Objects and the elements are 100% scalable vectors. FREE iOS E-commerce Apps Ui Design Enjoy it! don’t forget to appriciate my work! “Miam” is a free IOS UI Kit for your cooking apps This is a useful UI kit for cooking & recipe mobile apps with 17 fully editable and customisable screens. Ballhead app is a design concept visualizing how an app hooks into the Dribbble or Behance platforms to give its users more in-depth analysis of their projects (where are views coming from, best project etc). Value add-on is through plans, which enables advanced features such as voice-based analytics and search. I use Livescore APP to see the soccer matches results. I wanted to deal this redesign ” concept ” because I do not like the design of the current app and I wanted to add some features. The main goal of this design is give a sense of clean and immediacy. Nine Hertz an iOS app development company has developed a beautiful Android material design UI kit that you can use for building your own real estate app.